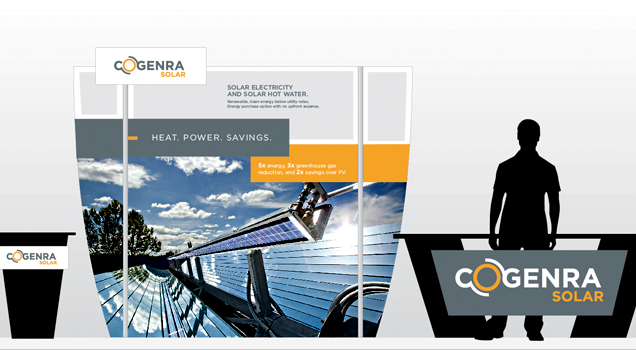 Cogenra Solar is a manufacturer of innovative, low cost, high performance, high reliability PV panels and systems. 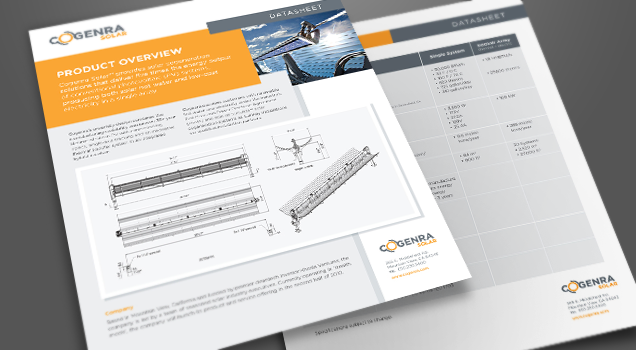 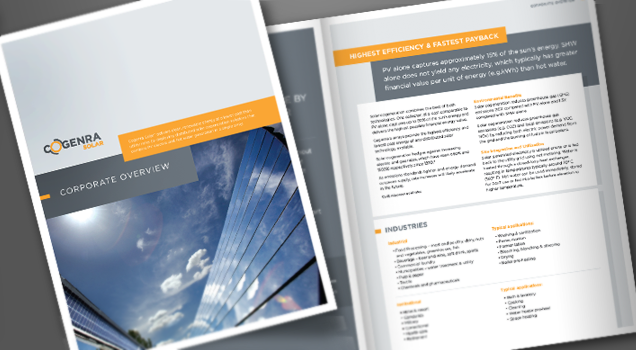 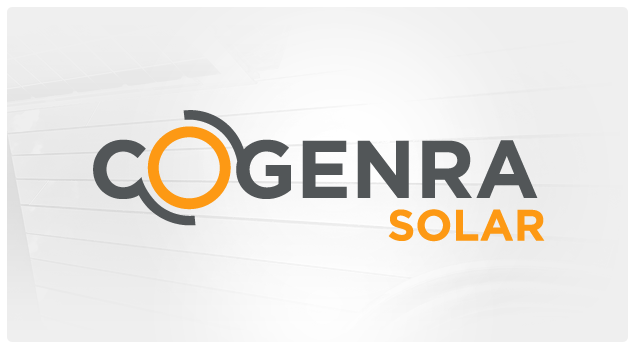 Cogenra’s technology, field-proven for nearly 5 years and in over 40 marquee installations across various geographies and diverse climates, enables rapid scaling of high performance modules using widely available PV cells. 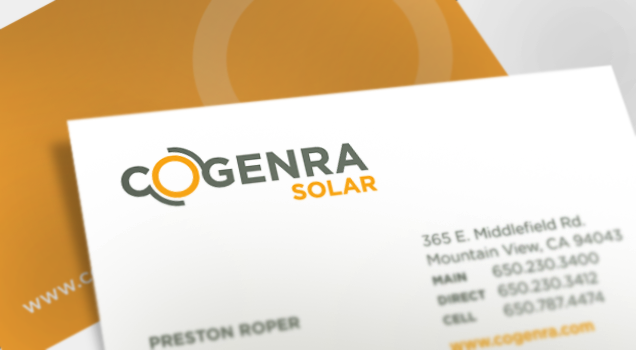 Projects: Brand Identity and Corporate Stationary System Design, Website Design and Development, Collateral & Presentation Templates.